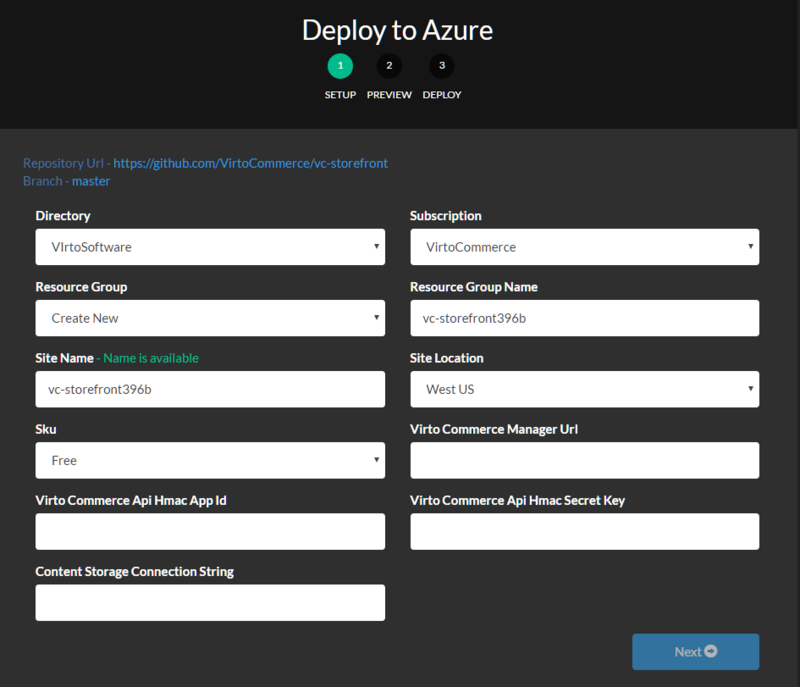 Before starting storefront installation you should have running VC platform application Deploy from GitHub to Microsoft Cloud Azure. Resource group option allows you to create a new Azure resource group or select an existing one from the list. The new website will be added to this group. Virto Commerce Manager Url is the public url where Virto Commerce platform installed. Will be used for API calls. 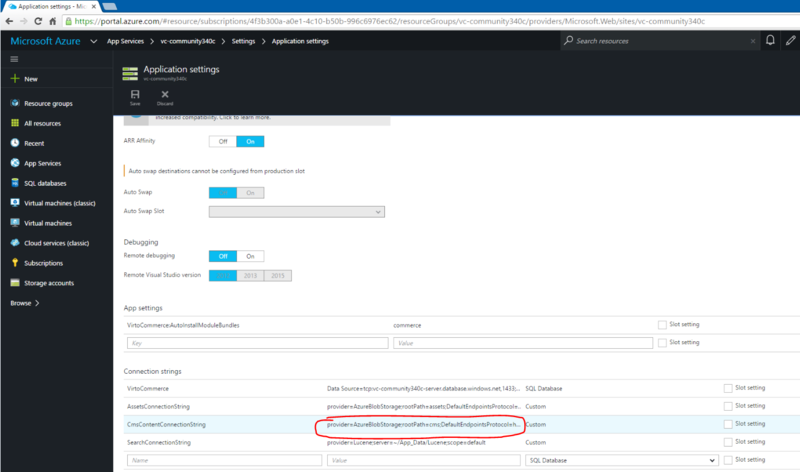 Content Storage Connection string is the connection string with have syntax provider=AzureBlobStorage;DefaultEndpointsProtocol=http;AccountName=XXXX;AccountKey=YYYY and should pointed to CMS content blob storage . You can get it value from your VC 2.11 platform application settings. On the second page of the deployment wizard click Deploy button. And wait until deploy process will finished. And click to resulting link in final screen.